One Hour Messengers has been successfully serving the needs of area businesses for almost 30 years. You can trust our team of delivery professionals to manage the transport of your time sensitive materials 24 hours a day, 7 days a week. We are licensed, bonded and insured. We are proud to offer Rush Delivery options for your critical items and strict deadlines. Your shipment is tasked to the first available courier with one designation, RUSH. 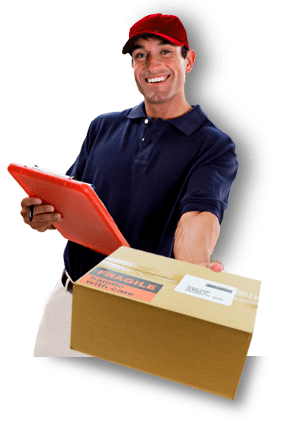 You can anticipate a quick pick up, and an even quicker subsequent delivery within an hour! When ultra-fast deliveries are needed…when accuracy and intelligence speed the delivery along…when time is critical…businesses of all types call One Hour Messengers for help. See why the Delaware Valley has made One Hour Messengers the only courier for those rush and same-day deliveries that exasperate businesses every single day. Give us a call at 215-238-8888 to get information, set up an account or to place a single order. One Hour Messengers offers state of the industry transportation management software to help manage your delivery, offering customers visibility and automation including EDI integration. Customers are pleased to receive the necessary data to make smart decisions when it comes to managing costs and customer satisfaction. Utilizing GPS technology customers can track the location of their package at any time.